The 19th Annual Menomonee Falls Civil War Encampment will take place on July 21-22, 2018 at Old Falls Village Historical Park. 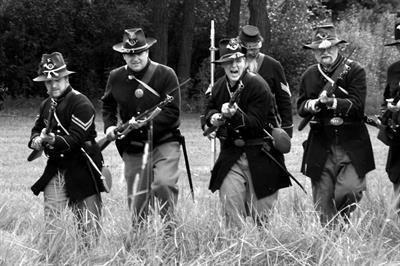 Menomonee Falls, Wisconsin – Enjoy the 19th annual Civil War Encampment and Battle this year is at Old Falls Village Park, (www.OldFallsVillage.com) on Saturday and Sunday July 21st and 22nd located at the Southwest corner of Pilgrim Road and County Line Rd Q. Come to Old Falls Village Historical Park in Menomonee Falls just north of HWY 41 on Pilgrim Road on Saturday July 21st from 10am-5pm and Sunday July 22nd from 10:00am-4:00pm. Come enjoy walking the grounds visiting military camps of the Union and Confederates as well as civilian life during the Civil War. 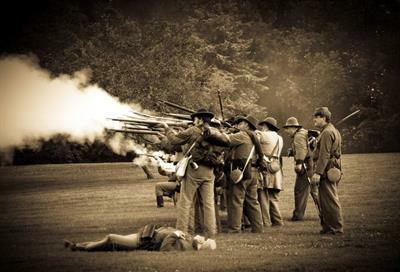 This event is one of the premier Civil War Living History Reenactments in the area. Here is your chance to be up close to reenactors displaying the ways of life and war of our American History. New demonstrations and speakers this year including Tea with General Grant and Julia on the porch of the Miller Davidson House. Presidents Lincoln Gettysburg Address, medical procedures and a soldier cooking demonstration during the 2-day event. Experience life as it was for troops and civilians during the Civil War! See an authentic Civil War Cannons being fired during the Battle at 2:00 PM both days in a newly enlarged battle field. Pre-battle narration by General Grant will set the stage for the battle. Skirmishes and training events are viewable throughout the weekend. Enjoy the Depot Beer Garden with Third Space Brewery the whole weekend. Friday 4-9pm, Saturday 2-9pm and Sunday 12-4pm. Beer Garden included with admission during the event hours. A Silent Auction ends Sunday at 1pm. Gift Shop, scavenger hunt, artillery drills, cooking demonstrations, storytelling, Civil War memorabilia and entertainment can be seen during the weekend event. Food, drinks, kettle corn and Ice cream all available during this family-friendly event. The Brogan Cabin will be at the Park for 36 years and is an amazing log building built in 1842 known for being the first site of a Catholic Mass in Waukesha County held inside the cabin. The cabin is need of serious TLC and the Historical Society would like to re-shingle the roof to continue to preserve the building for the future. Come support the Menomonee Falls Historical Society and enjoy family fun. Admission. 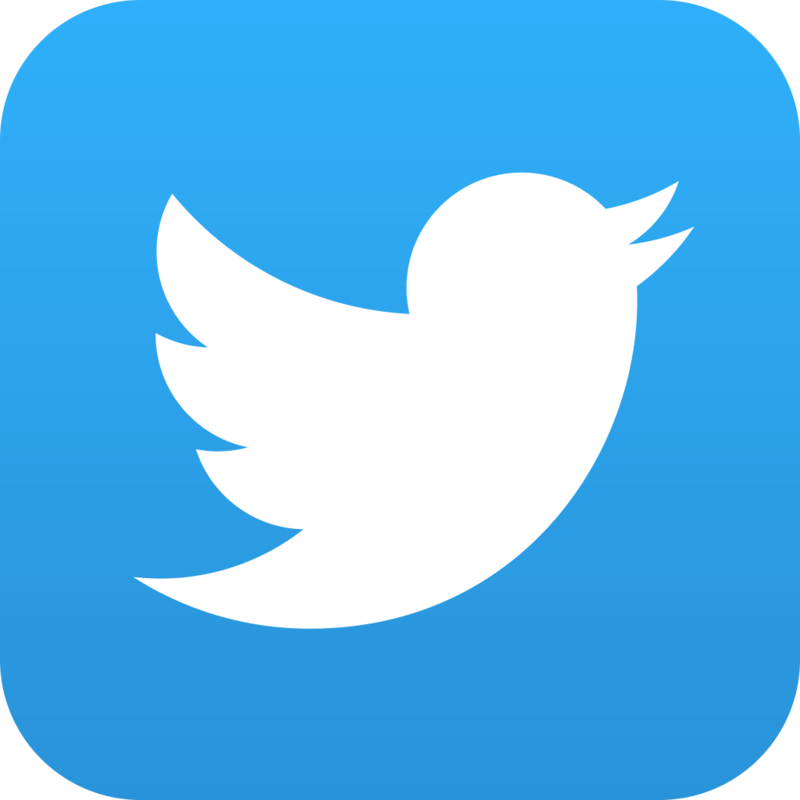 Become a member today and get in FREE to all the events this year. FREE Parking. Located on the corner of Pilgrim Road and Country Line Q Rd. Event benefits the Menomonee Falls Historical Society. Come early and get your viewing spot to see the Battle at 2 PM both days! Veterans FREE Admission both days with Military ID from 10am until Noon. Admission includes the Beer Garden during the event times. 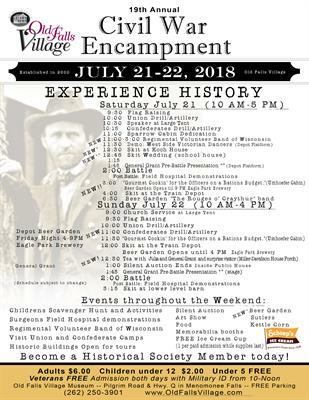 Come to Old Falls Village Historical Park in Menomonee Falls just north of HWY 41 on Pilgrim Road on Saturday July 21st from 10am-5pm and Sunday July 22nd from 10:00am-4:00pm.